This is where I'm really at home in my kitchen. Pie. It's an old friend to me. Dusting flour on the rolling pin, tossing fruit with sugar in a big bowl, it's me at my most comfortable and most genuine with food. For me, making pie is like returning after a long journey to find the things I love best in life are still right here at home. 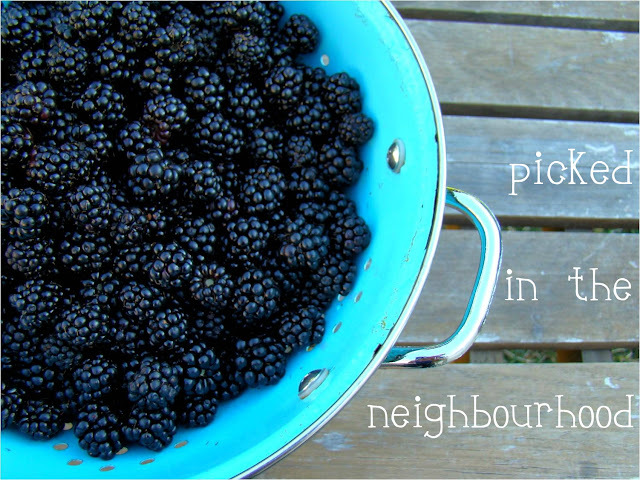 The blackberries for this pie were picked in our own neighbourhood. They're coming ripe a little later than usual this year because of a slow start to summer weather. But they're worth the wait. 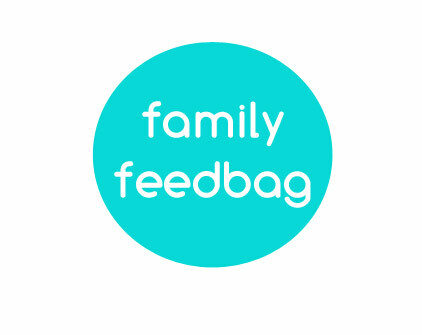 Mr. Feedbag and our 3-year-old did a great job helping me fill a large container while the baby watched from his stroller. It feels good to make a pie from something I picked so close to home. Doesn't hurt that they're free too! Free is the new expensive, afterall. Cheap is chic! To make the pastry, I started by mixing together the flour, salt, and sugar in a large mixing bowl. To that I added the vegetable shortening in pieces and blended the mixture until crumbly with a hand pastry blender. In a small bowl, I beat the egg with the vinegar and cold water and added the wet ingredients to the flour and shortening mixture, stirring with a fork to bring it all together. I divided the pastry into two balls and set one aside in the fridge. The other ball I rolled for the bottom crust and laid it in my 9-inch pie plate, tucking the edges under for a clean finish. 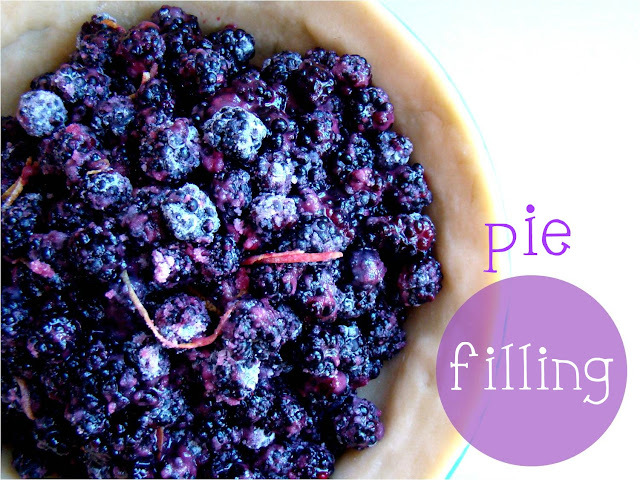 To prepare the filling, I combined the blackberries and lemon zest in a large mixing bowl. In a small bowl, I stirred together the sugar and cornstarch and added the mixture to the fruit, tossing gently to ensure all the fruit was coated. Then I poured the filling into the pie plate. At this point I preheated my oven to 425 degrees (F) and took my other ball of pastry dough out of the fridge. I rolled it to the same thickness as my bottom crust and, using a small cookie cutter, made about twenty cut-outs, setting them aside on a cooking sheet as I went. 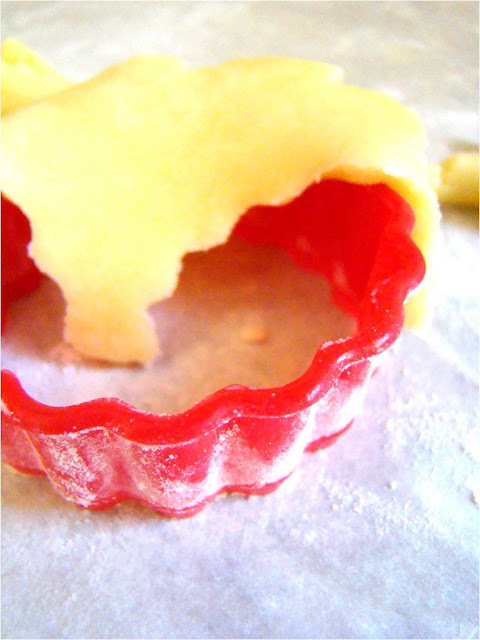 I totally borrowed this cookie cutter from my 3-year-old's playdough supplies! 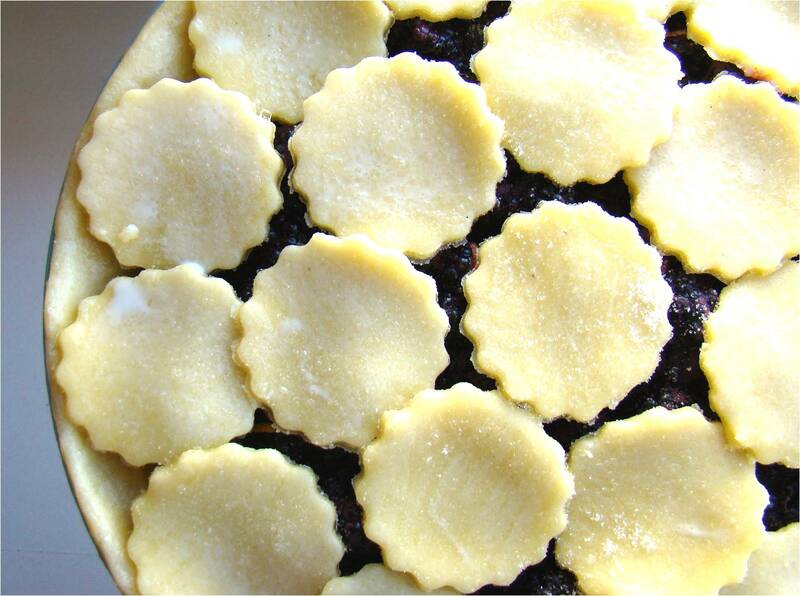 To finish, I brushed the pastry edge of the pie and each cut-out with milk. I assembled the cut-outs over the filling, overlapping them but leaving plenty of gaps for steam to escape. Then sugar was sprinkled over the whole thing. Sitting on a baking sheet to catch drips, I baked the pie at 425 degrees (F) for 15 minutes. Then I reduced the temperature to 375 degrees (F) and let it bake for another 45 minutes until the juices were bubbling up and the pastry was golden. 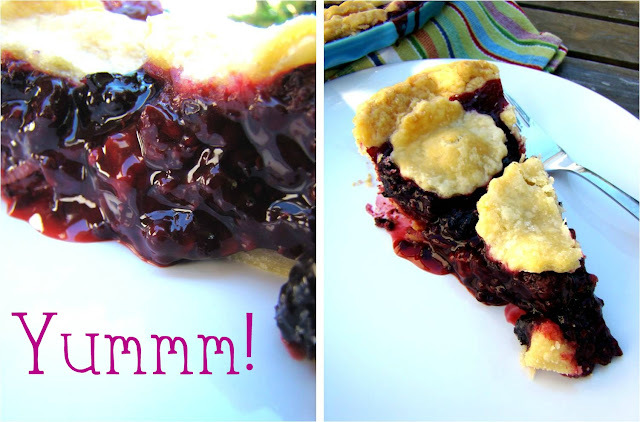 Taking a bubbling pie from a hot oven is, well, a super awesome moment. I'm always amazed at what I made! 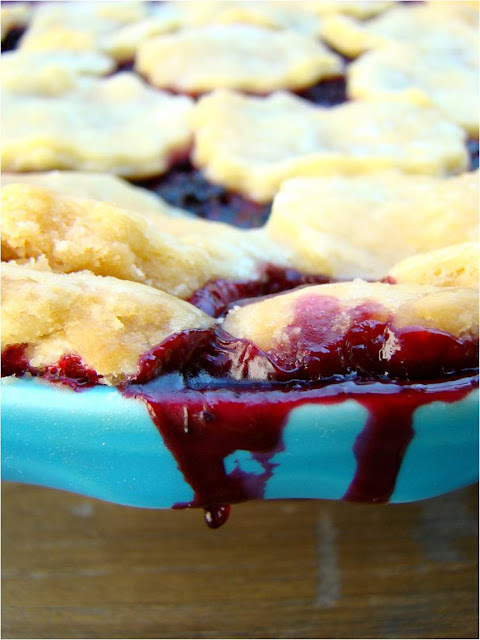 Of course I want to cut into it right away (well, after I show it off to the family), but with most pies, and especially a berry pie, it's really best to let it sit for a few hours so the filling can set and it doesn't make a big soupy mess in the pie plate. But when the moment comes. Mmm! All that work was worth it. Have you been making pies with all that gorgeous summer fruit? 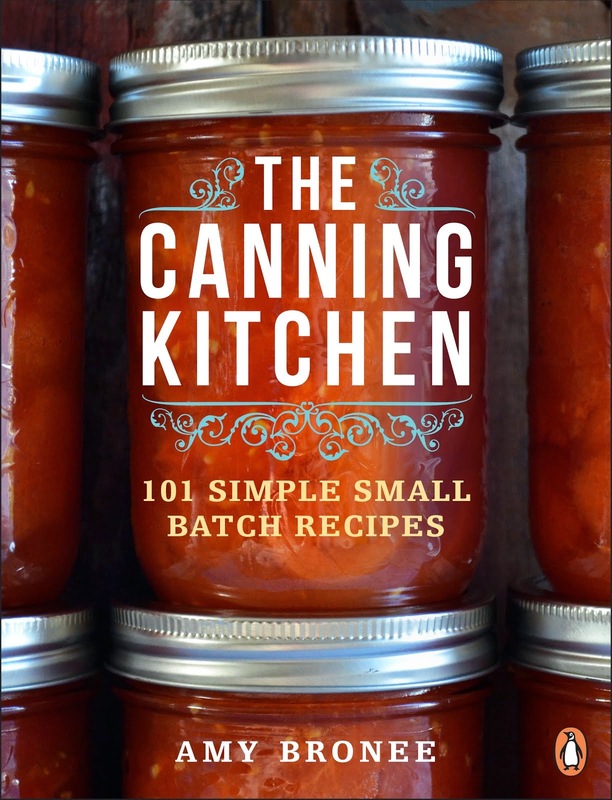 Got any pastry secrets you want to spill with other readers? Got any pie making questions? 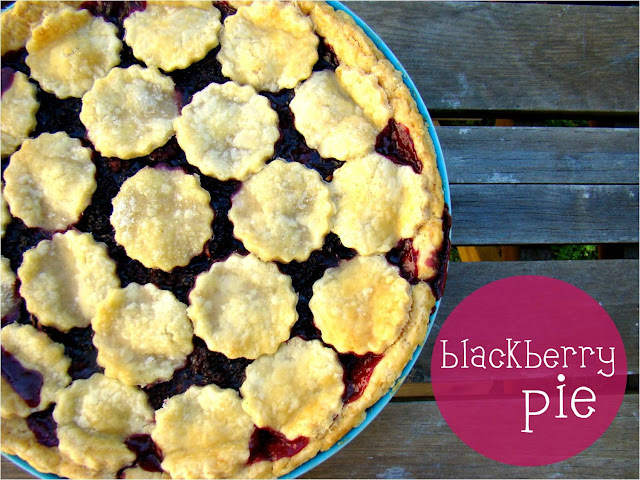 Leave a comment and tell me about your baking with summer fruit! I kid you not, my mouth is watering reading this post. 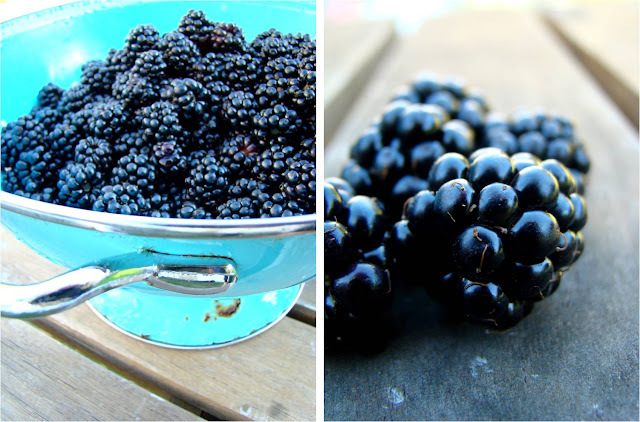 I am so jealous of your free blackberries. We got groceries last night and I noticed that a 1/2 pint of blackberries was $5.98!! So we typically never have them. Sad! My confession. I've never made a pie before. And I love to bake! It, along with homemade bread, are goals for the fall. it's all about the comfort of making pies. I like the way you do the top. I'll have to try that. Maybe with hearts this time of year! I made an apple pie with the end of the gravensteins and gave it away. I sure didn't want to. sigh. Do you ever make meat pies of any sort? Might be a new idea if you don't. I'll look forward to seeing what you come up with. Presumptuous of me, eh.